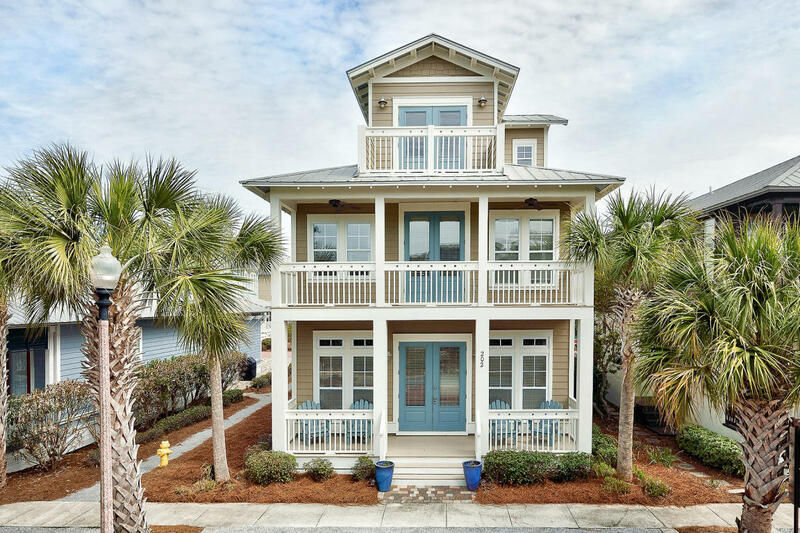 This amazing five-bedroom, four-and-a-half bathroom home in Seacrest Beach is for sale and would make a great second home or vacation rental. 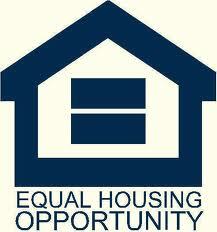 A local rental management company projects the home will do $57,000 in gross rental income per year. 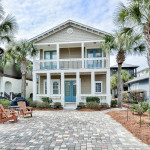 This home is in an excellent location sitting about a block and a half from Seacrest Beach’s 12,000 sq. foot lagoon pool. This house features two master bedrooms (one on the main floor and one on the second) as well as front and rear entrances, and a two-car driveway in back. Entering the front door you will find the open living, dining and kitchen, which are perfect for entertaining or family get togethers. Tile floors run throughout the first level. The built-in kitchen bench doubles as storage with lockers beneath. 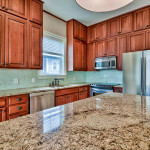 The well-equipped kitchen is complete with a large island and breakfast bar, granite countertops and stainless appliances. There is a half bathroom off the kitchen. The laundry room is complete with a full size washer and dryer and access to a side exit off the house. The first-floor master bedroom with walk-in closet and in-suite bathroom complete the ground floor. The master bathroom has dual vanities and a stand alone glass shower. The master bedroom also has private access to the rear covered porch and driveway. Head up the stairs and you will find two guestrooms, another master bedroom and an office nook on the second floor. The two, rear guestrooms enjoy access to an expansive private balcony. Both guestrooms share a hall bathroom with dual vanities and a shower/tub combo. 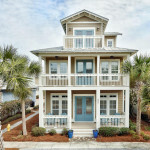 The second-floor master bedroom has hardwood floors and private access to the front balcony overlooking Seacrest Beach Blvd. W. The master bathroom has a walk-in closet, dual vanities and a separate jetted tub and shower. In the second floor landing there is a built-in desk with storage and cabinets perfect for a computer station or home office. 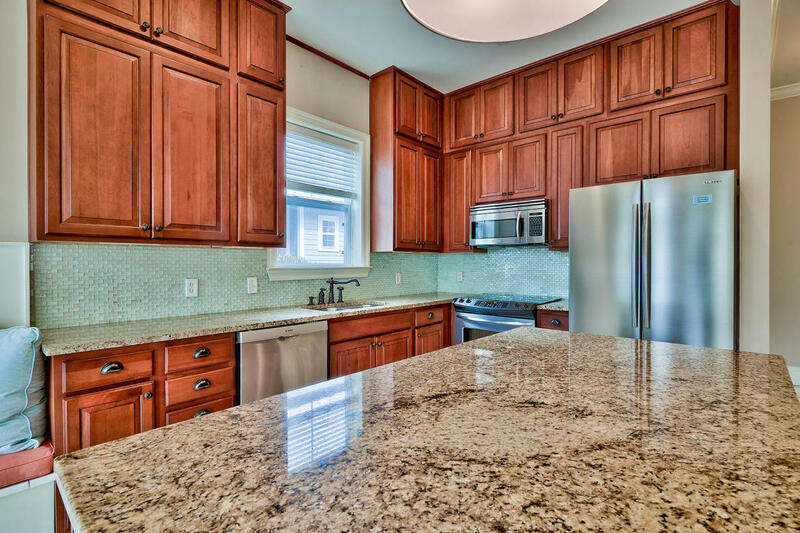 Up the stairs to the third floor you will find an additional area perfect for entertaining along with a wet bar with granite countertops, cabinets for storage and a mini fridge. This room is perfect for a secondary living area or additional bedroom. The third floor full bathroom makes this room ideal for added vacation rental value. Gaze out to the Seacrest Beach rooftops from the third-floor balcony and enjoy the breeze. Seacrest Beach offers incredible amenities, the most notable of which is a remarkable 12,000 square foot lagoon pool located at the heart of the neighborhood. Additionally, deeded beach access through Sunset Beach is accessible via neighborhood tram service. 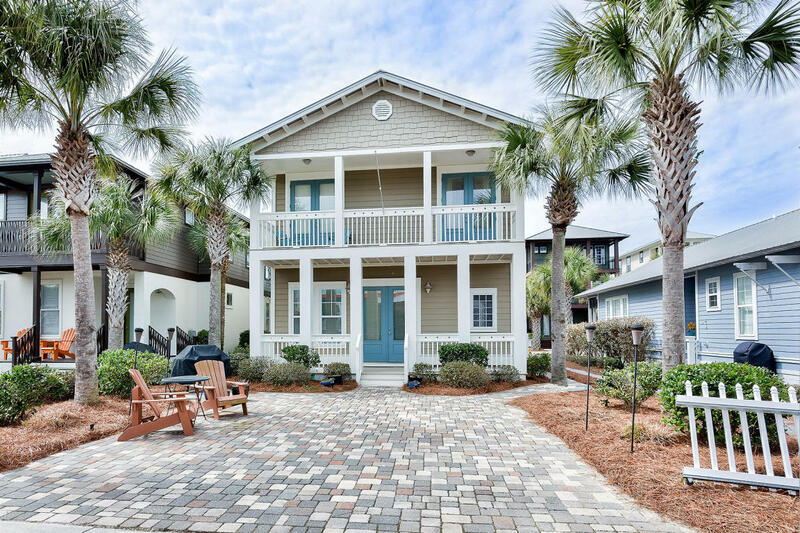 Shopping, dining and seasonal entertainment is located nearby in neighboring Village of South Walton, Rosemary Beach and Alys Beach. Address: 202 Seacrest Beach Blvd. W.